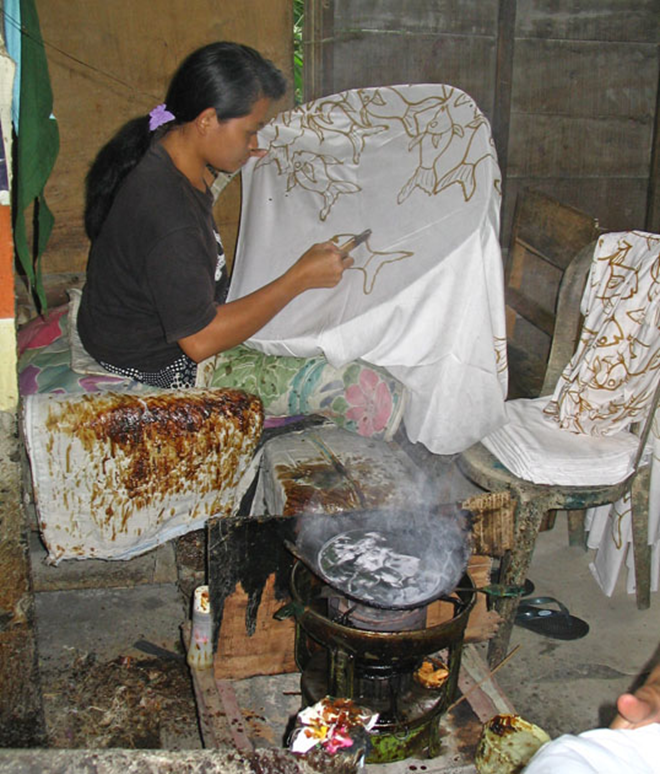 Batik is a centuries-old method of dyeing using wax as a resist (to seal in color). 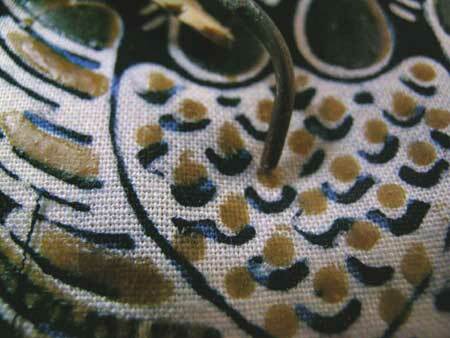 Tjanting (pronounced “chanting”) is the oldest method of batik. 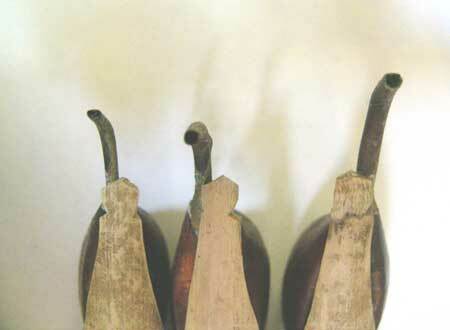 Hand-formed basic tjanting tools have different sized spouts and several may be used on one piece of fabric. 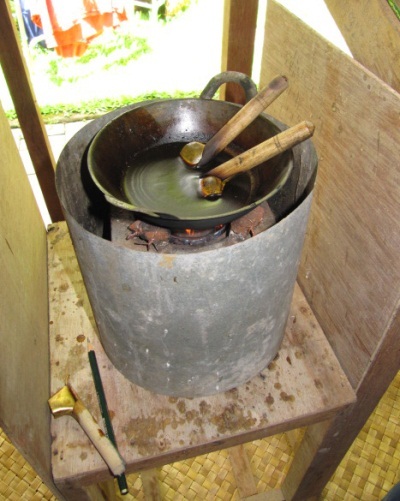 Wax melting pot (over live flame). This technique requires great skill, patience and a steady hand. Guests try tjanting on a sample just for fun. It’s not easy!! 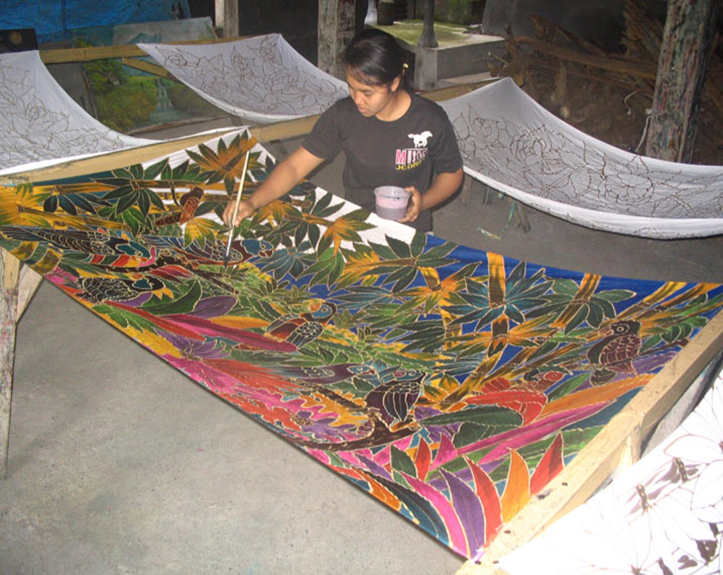 Tjanting wax outlines stop dyes from spreading, allowing us to “color inside the lines.” Here a tour guest paints on silk that has the outline of a flower drawn in wax with a tjanting tool. Again wax is applied by following pencil lines on a sketch. 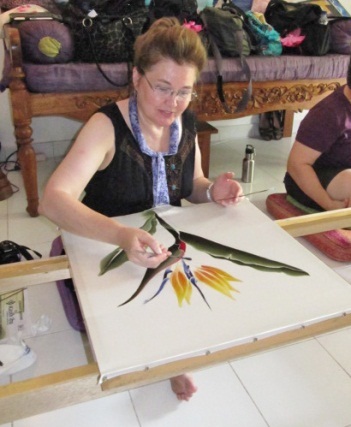 A woman paints a sarong.